Misty mountains and long coastlines, mixed with a rapidly growing and cosmopolitan capital…Panama might just be the most exciting destination in all of Central America. Panama is located in the southernmost portion of Central America, between Costa Rica (to the west) and Colombia to the southeast. It also enjoys a long northern coastline with the Caribbean Sea and a southern coastline on the Pacific Ocean. December to April is the best to visit Panama as it’s considered the dry season. That being said, there is flexibility especially when it comes to areas around Panama City. Buses are the most common form of public transportation in Panama. Service is regular and fairly cheap. You can also rent your own vehicle, though it’s not always cheap. Spanish is the most widespread language in Panama, though some speak English (especially those who are in Panama City for business). Overall though, we recommend brushing up on some Spanish phrases before you go. At first glance you might be forgiven for thinking you’ve touched down in Miami. Indeed, Panama’s cosmopolitan capital has many shades of South Florida’s metropolis including the ever-expanding collection of skyscrapers and busy streets. 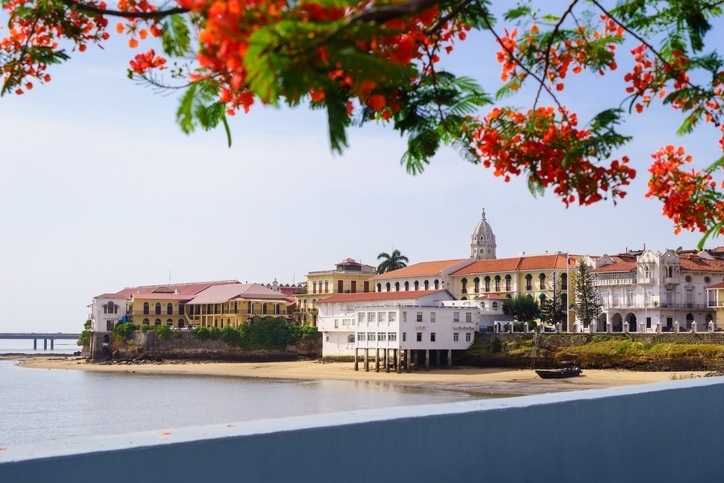 Among the many things to do (including great restaurants and nightlife), there’s the beautiful historic section Casco Viejo. Here you’ll find hidden passages, unique architecture, stories of pirates and thieves, and so much more. Panama City should be your first port of call in the country…and it may just be the highlight of your whole trip. 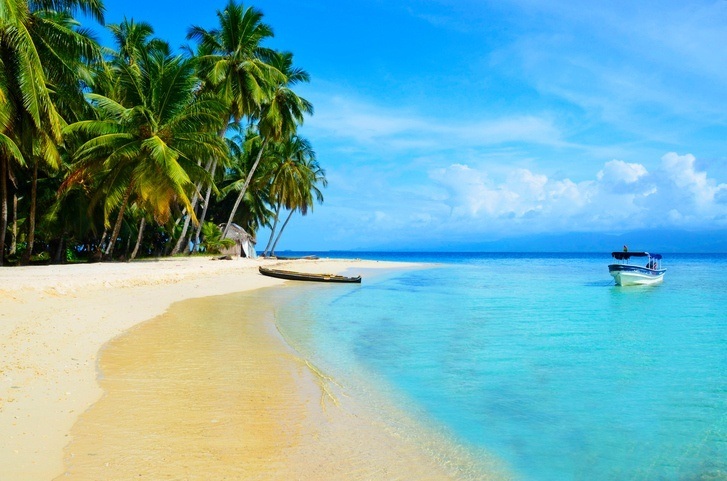 Located in Bocas del Toro Province (and home to the eponymous capital city) is the Caribbean island of Isla Colón. This is one of the marquee tourist sites in Panama, with a highly developed infrastructure for visitors, hotels, bars, and more. 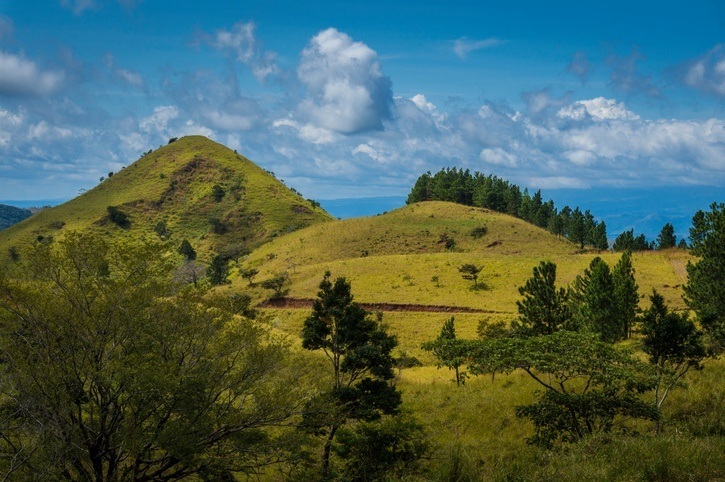 Large parts of the island (and the neighboring ones that make up the larger archipelago) are home to a wealth of outdoors tourism activities – including hiking, kayaking, or bird watching. If you want to experience the natural beauty of Panama first hand, there’s really nowhere better than Chiriquí Province. Sprawling rainforests, highlands, the country’s tallest mountains, Pacific Coast beaches, coffee plantations…these are just a handful of the sights spread throughout the region. Between the towns and eponymous national park, visitors of all kinds will find something to hold their interest. Somewhat less wild than Chiriquí, the Azuero Peninsula is a land of rolling hills (not to mention the beautiful coast) and farming with its colonial past evident in its architecture and culture. That’s not even mentioning the ample cultural events and festivals that take place here throughout the year. The Peninsula is a great place to immerse you in the Panamanian way of life, but it doesn’t hurt that the setting lives up to the people that call it home. Consisting of 365 islands (49 inhabited), this idyllic archipelago is a dream come true for those who enjoy relaxing, Caribbean weather, crystal clear waters, and fewer visitors. If that sounds like something that might appeal to you, we recommend you book a trip now! 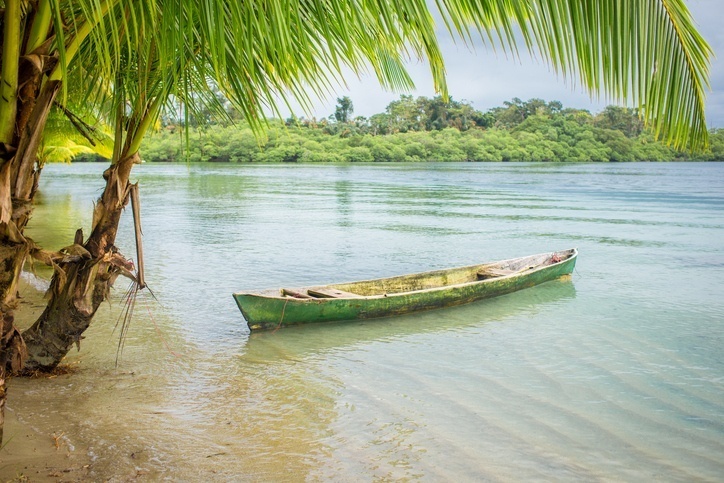 These islands are also home to the Kuna Yala tribe, who offer a unique and welcoming insight into Panamanian life. The country’s most famous landmark and one of the most well-known and impressive man made constructions on earth is a must-see for any visitor. True, it doesn’t exactly seem picturesque at first glance, but there’s something to be said for knocking this one off the bucket list. Plus you can see it right from Panama City, so it’s not an out of the way attraction. A round-trip flight between Toronto and Panama City often starts around $600 Canadian. That being said, it’s not a long trip so flights can be found for less if you look around for deals or book ahead of time. 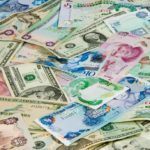 Panama is in a unique position currency-wise. Though it has the balboa for coinage, it is fixed on a 1:1 exchange with the US dollar (which is used for all paper money). Beyond that, prices in Panama are not too expensive, with average daily costs coming out to about $75 Canadian (including $33 for accommodation and $24 for food). 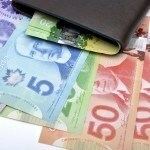 Thrifty travellers can keep costs down to $30 a day while the higher end of travel will come out closer to $185 a day. Before we get into safety, we have to touch on the current health issue with regards to the Zika virus. Spread by mosquitos, the sickness is usually mild and short term, resulting in fever, headaches, rashes, muscle pain, and other flu-like symptoms. That being said, pregnant women (and women considering becoming pregnant) should avoid the country for the time being. 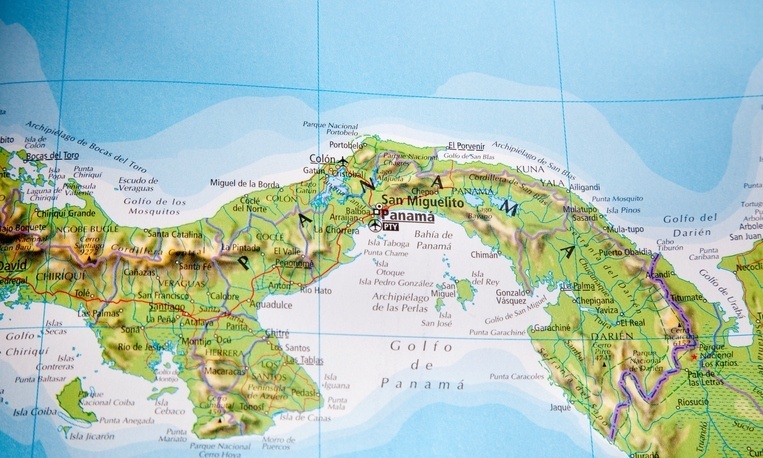 Be sure to talk to a healthcare professional before deciding to travel to Panama. For the most part, Panama is pretty safe with no nationwide advisory and normal security precautions recommended throughout. That being said, all travel should be avoided to the region beyond Yaviza (close to the Colombian border). In addition, exercise a high degree of caution in Colón and parts of Panama City. Petty theft is an issue however violent crime is fairly rare (except in the areas listed above). Road conditions vary throughout the country as well. 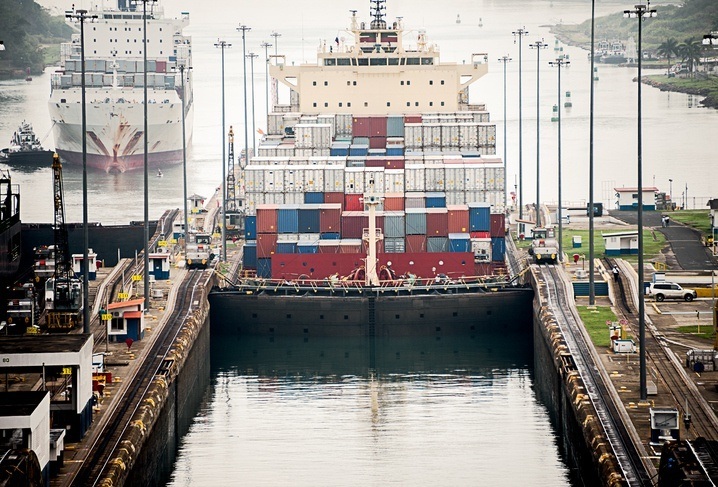 For more on travel safety, check out the Canadian Travel Advisory for Panama. You can learn more about Panamanian history and culture in the Country Profile, as well as its currency with our Spotlight. Check out the official Panama tourism page for more.